Product prices and availability are accurate as of 2019-04-19 19:51:35 EDT and are subject to change. Any price and availability information displayed on http://www.amazon.com/ at the time of purchase will apply to the purchase of this product. 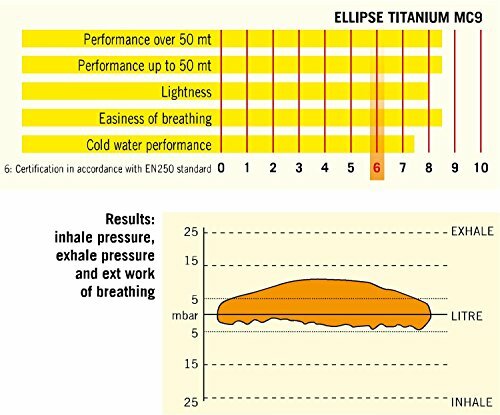 The Ellipse Titanium second stage regulator features a breakthrough patented designthat utilizes an elliptical shape which allows for use of a larger diaphragm, resulting in lessbreathing effort. 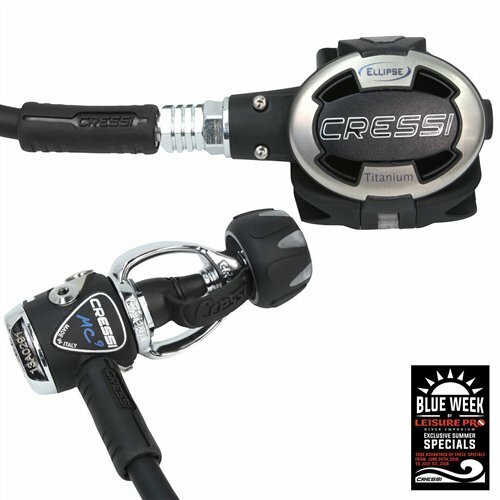 This truly unique regulator features the diving industrys lightest second stage.Lightweight, yet very durable, the Ellipse utilizes high impact thermo plastic materials in conjunction with ultra lightweight titanium components.The Ellipse is a perfect diving regulator which is designed to meet the high performance requirements of the technical diver as well as the demanding needs of the cold-water diver.Balanced diaphragm - The Cressi-sub balanced diaphragm 1st stage is small, lightweight andversatile. 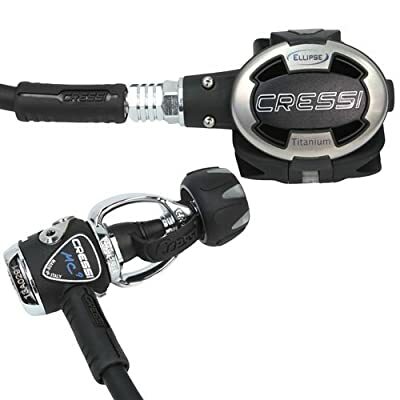 It features an environmentally sealed design with four low-pressure and two high-pressure ports perfectly positioned, allowing for proper alignment of hoses. Consistent airflow at all depths and all tank pressures is insured as a result of its unique high flow design.